There’s a buzz word popularized by the media, especially the music world and Hollywood. The word is REINVENTION. We hear all the time that this one or that one has reinvented themselves. Why? Because of change and relevance. The pop musician, Madonna, is famous for her ability to reinvent herself when her audience appeal would begin to wane. Earlier this week I watched a biographical documentary on the life of Film Star, Hedy Lamarr. Normally, a story like this would not have engaged me. What grabbed me was the fact that this world famous starlet of the 30’s and 40’s, one of the most beautiful women of her day and noted for her service during the war era, was virtually forgotten by the late 1950’s and by the 60’s was reduced to such poverty that she was actually arrested for shoplifting. On a recent evening, sitting home alone suffering and brooding about my treatment at the police station because of an incident in a department store, and being replaced by Zsa Zsa Gabor in a motion picture (imagine how that pleased the ego!) I figured out that I had made – and spent – some thirty million dollars. Yet earlier that day I had been unable to pay for a sandwich at Schwab’s drug store. Pretty faces fade as does fickle audience appeal. 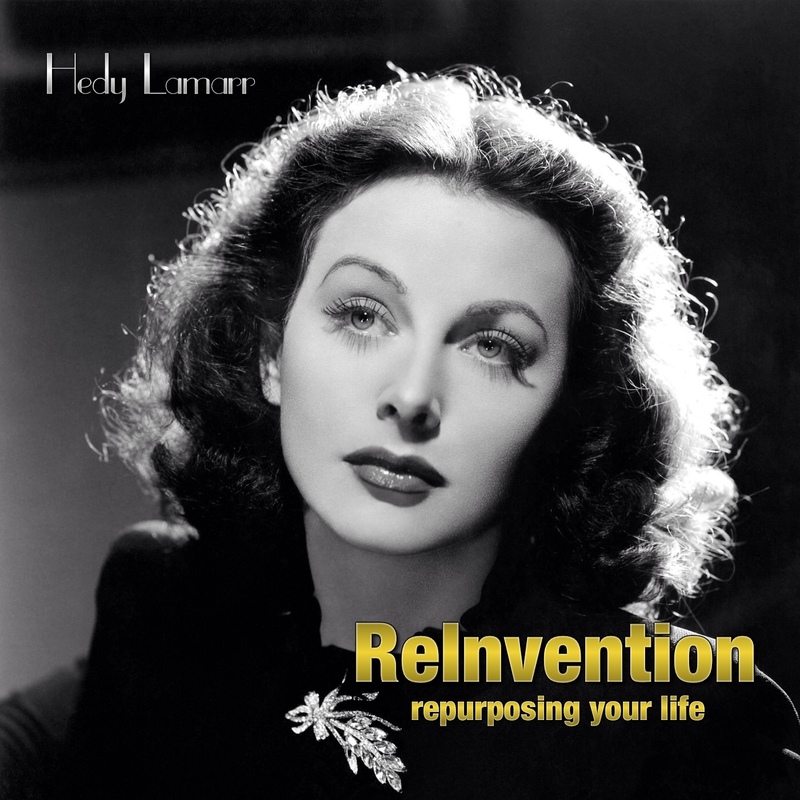 Hedy’s story should have been over but it wasn’t; because during the peak of her popularity she tried to reinvent herself, unsuccessfully at the time, but her time is going to come again. Hedy was far more than just a pretty face, she had brilliant mind. She was an inventor with an idea way before its time. She wanted to help the Navy with the war effort by developing a torpedo guidance system that could not be jammed by the enemy. She and a composer friend, George Antheil, developed and patented, in 1942, the basis for what is known today as, Spread-Spectrum communication technology. This is the technology behind WiFi, Bluetooth and Cellphone communications. Their idea was rejected by the Navy at the time but later implemented in the 60’s. By 1998, Hedy Lamarr’s fortune was restored as was her fame. She received a number of scientific achievement awards and died a wealthy woman. Life changes doesn’t it? Strength fails, our endeavors and achievements become forgotten or obscured. I once did a video interview with the Grandfather of a friend of ours. She wanted to capture the history of the family before the old man died and the memories he held would be lost to them. It was a powerful story, the life this 90 year old man told us of; but what moved me the most was the fact that as he cast his eyes back over years long gone and losses and loved ones reencountered, he would break down and weep uncontrollably and say in English, We worked so hard … then he would revert to Spanish, … Por Nada! Is it all “For nothing?” I don’t believe that and neither do any of you. My point in recalling this memory is to simply point out that it can seem this way, when tears fall and roses fade. We can be overwhelmed and overcome by our seeming powerlessness as we encounter inevitable change all around us. Strength is restored and possibilities present themselves the moment we recall the declaration, I am The LORD, I change not. If you look back over the years, you may have discovered that the Lord has actually helped you reinvent yourself and your life numbers of times. In life, “Stuff happens,” I think most of you know what I mean: “Close encounters of the third kind” and I don’t mean aliens. Stuff, you know, that which hits the fan! When your star was seemingly sinking, a way was provided to rise again and find fresh relevance. I contend that this idea of reinvention is more God inspiration than carnal desire or self interest. In fact, to remain static and refuse change can be far greater carnality. Ten years ago at age 58 my star had fallen, my sun was setting. I’d made a decision that I was no longer going to pastor churches unless the Lord just commanded me too. This is my story not yours, just hear it out. What does one do at age 58 when one has been a pastor all of ones adult life? I won’t tarry here, most know exactly what I’m talking about. I sought the Lord for answers but nothing was coming through until I brought a proposal to Him. Back then I’d been pondering not only what I could do but also what it was I would like to do. At the time the only alternative skill set I had was media production. I thought I could perhaps develop a small niche market for Biblical presentations that might be useful to the Church. It all sounded so fanciful to my own mind that frankly, I was embarrassed to even ask the Lord about it. Since I couldn’t think of anything else, I sheepishly brought my idea before Him. I really wasn’t expecting a reply, you know, the silent treatment, meaning, Harris, I won’t even dignify your gross stupidity by answering that question. However, you have not because you ask not, we’ll try to ignore the asking amiss part … Desperation is a powerful motivator. So, I pray, Lord, I’m considering opening a small Christian Film Production business; what do YOU think about the idea? To my astonishment, He answered me, then and there. HE said, Don’t make it a business, make it a ministry. That’s all He said but I knew exactly what He meant. Within a day or two of this answer, my son Peter called me from Mosul Iraq, told me about the Kurds and that they needed someone to tell their story. The rest is history, I was invited by the KDP to come to Kurdistan as film maker to document the Kurdish struggle. Out of this open door a new ministry was birthed, Jack in Iraq, was born. A ministry quite different than anything I’d ever done. Personally, I feel that the LORD is about to help me/us reinvent ourselves again. I’m talking about my generation. We’ve been labeled, the Baby Boomers, the Caleb generation, we’re different than the generation before us and the one that came after us. I’m not suggesting we’re better or worse, just different. We refuse to just go out to pasture. We’re not afraid to die but we refuse to, “Go gentle into that good night.” If we Retire, we do so with an eye to reFire. We resent being marginalized because of our age and herded like cattle into Seniors programs. We’ll take the discounts but back off the labels. How? That’s not for me to say. You have your own gifts, dreams and yes, desires. If there’s something stirring in your heart and you’re waiting on God, I’d like to just suggest, ever so gently, maybe HE’s waiting for you to bring HIM a proposal. Hmm, makes one wonder why HE gave us the capacity to dream if dreams aren’t important.